Grants are free money that does not need to be repaid. Students must complete the FAFSA application and be admitted to DACC to be considered for federal, state and university grants. Provides need-based grants to low-income undergraduate students to promote access to post-secondary education. Grant amounts are dependent on: the students expected family contribution (EFC), the cost of attendance (COA), the student’s enrollment status (full-time, part-time) and whether a student attends for a full academic year or less. 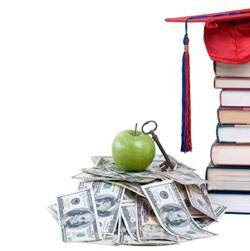 Federal Supplemental Educational Opportunity Grant (FSEOG) is a federal grant awarded to undergraduate students with exceptional financial need. Priority is given to Pell Grant recipients. The State of New Mexico offers a number of grants and scholarships to students who graduate from New Mexico High schools. Must be a New Mexico resident, complete the FAFSA, and demonstrate unmet financial need. Student must be a degree seeking undergraduate and enrolled at least half-time. May not be receiving other state grants and have graduated with a high school diploma or GED and must be meeting satisfactory academic progress. New Mexico Leveraging Educational Assistance Partnership Grant– LEAP (formerly known as SSIG) is a combined federal and state grant awarded to undergraduate students to help with educational costs. To be eligible for LEAP, you must be a New Mexico resident with demonstrated exceptional need.